This statue is just under 4ft tall and weighs an estimated 300lbs, big enough to be a beautiful centerpiece in any location, indoors or out. Description: This beautiful hand carved Buddha statue was crafted from a rare dense and beautiful, Green River stone, sometime in the late 20th century. The Buddha is depicted in the, "teaching" mudra and is accented by an incredible aura back plate (statue and back plate are one solid piece). 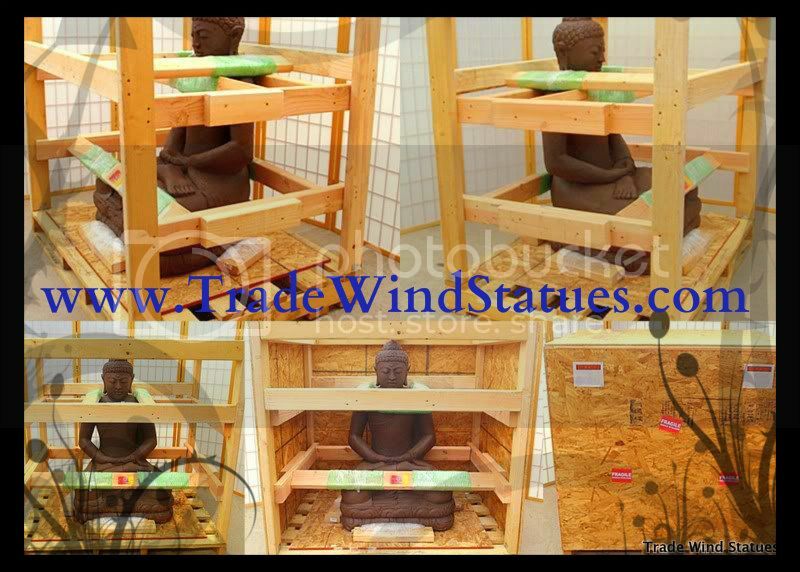 This Buddha statue is perfect for meditation rooms, yoga studios, or any area of instruction. Looks wonderful against a wall or back drop. The proportions and detail of this solid stone, hand carved, Buddha statue are accurate and clean. This type of Green River stone is very dense and any finished sculpture using this stone is filled with rich, earthy tones, smooth curves and a solid core. This statue is of temple quality and will last hundreds if not thousands of years.